Groundnut/Peanut Chutney - A quick and easy chutney recipe that takes less than 10 minutes to prepare. 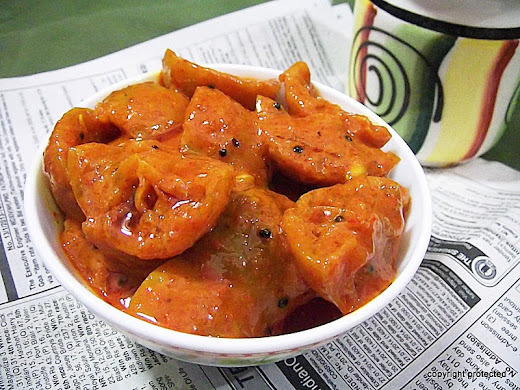 It is a perfect accompaniment to idli, dosa, upma, rava idli and uttappam. 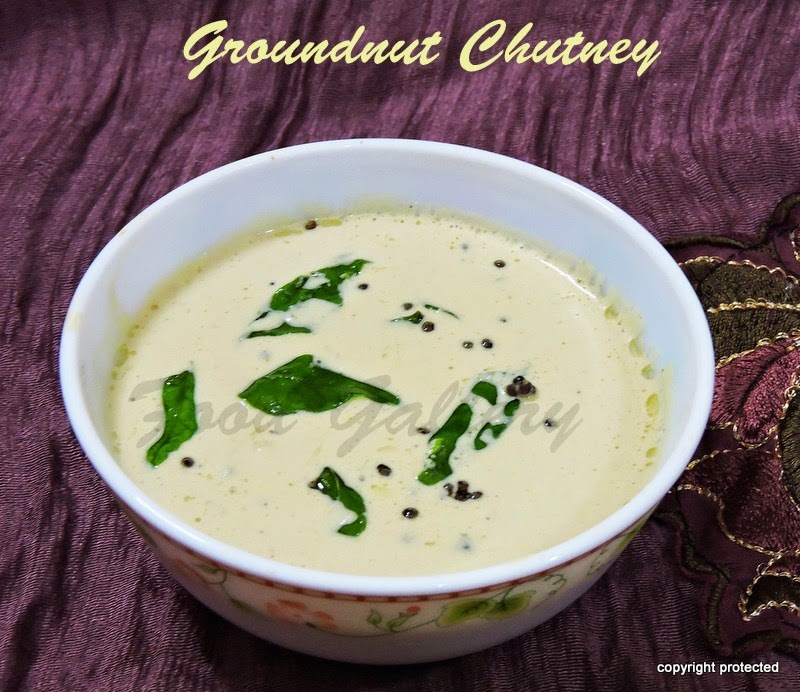 If you like the taste of peanuts, then you will love this chutney. 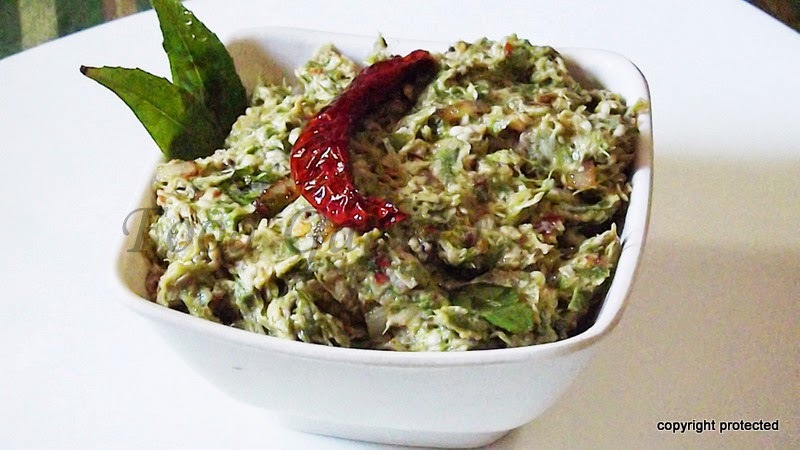 Many people add coconut, roasted gram or garlic to this chutney, but I prefer it as it is. Try out this delicious chutney. Potato and Peas Kurma - a traditional fragrant curry from South India which tastes delicious and is very easy to prepare. It goes very well with mild pulaos, rotis, puris, phulkas or paratha. The same dish can be prepared with mixed vegetables too like carrot, beans, cauliflower, etc. 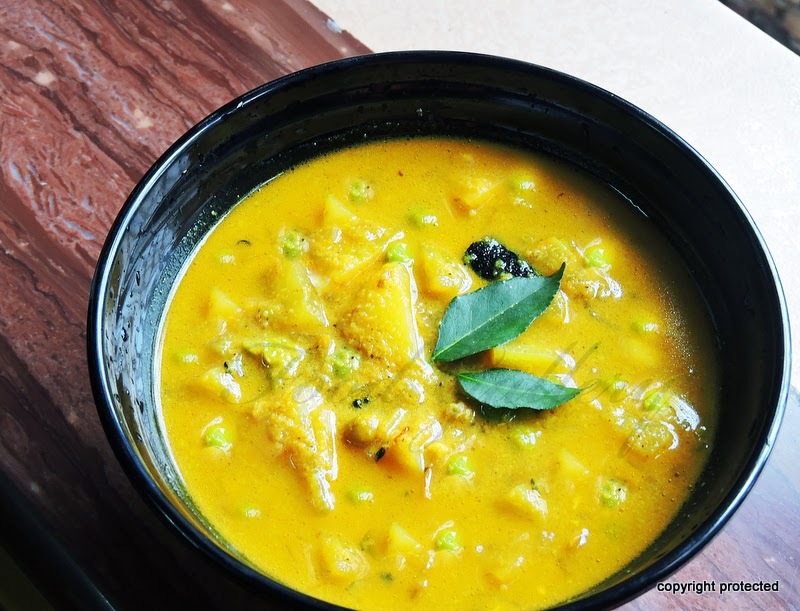 Check out the mixed vegetable kurma recipe here. If you are looking out for more curries, check out ridge gourd curry, aloo matar, aloo gobi. Red spinach - also called red amaranth or Laal saag is a good source of vitamin C, vitamin A and iron. In fact, they contain almost thrice the amount of calcium than the other spinach varieties. So it is a good idea to include it once or twice a week in our menu. Quite a few dishes can be made with this red spinach - sambar, kootu, stir fry, chutney and can even be included in rotis (spinach rotis or keerai chapati). 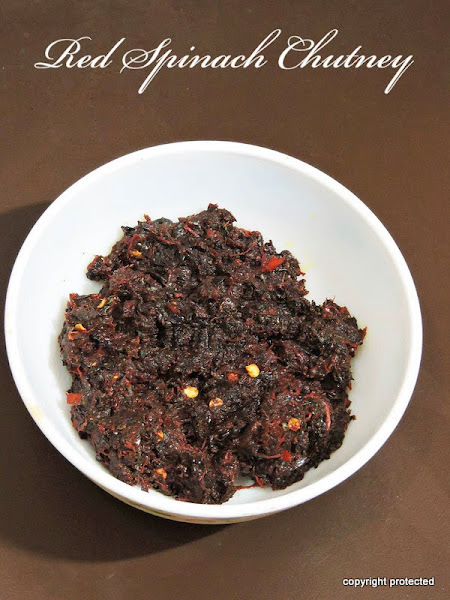 Red spinach chutney is a yummy and healthy side dish and goes very well with plain hot rice, dosa and even rotis. Curd rice or Yogurt rice - Part of South Indian cuisine, is a true comfort food. 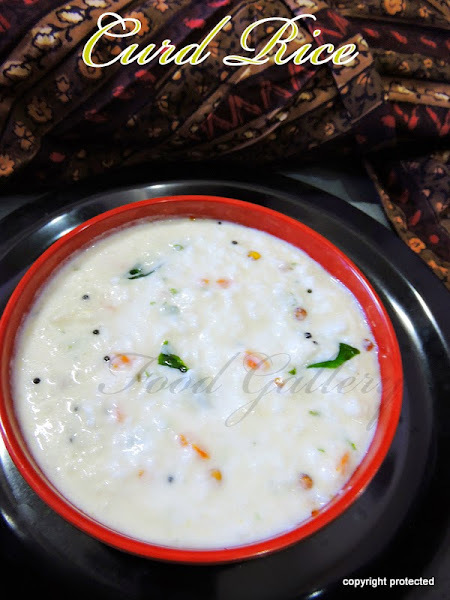 A meal in South India is not considered complete unless and until curd rice/thayir sadam is served. It is really easy to prepare and does not require many ingredients. The addition of ginger, curry leaves and coriander leaves add a beautiful flavor to the rice. It is a complete meal by itself and does not require any special side dish, just any pickle will do. 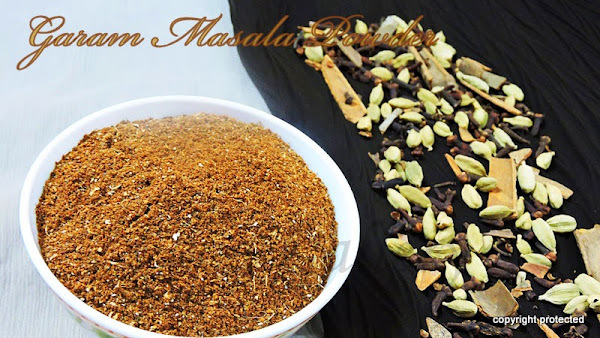 Garam Masala Powder -- the spice blend that adds a beautiful flavor to the dishes. It is an indispensable item in an Indian kitchen. It is used either at the end of cooking (if using powder) or in the beginning (if using the pieces) to add flavor to a dish. It needs to be used in small quantities only, else the smell can be overpowering. To get more aroma in your dishes, use home-made garam masala powder. 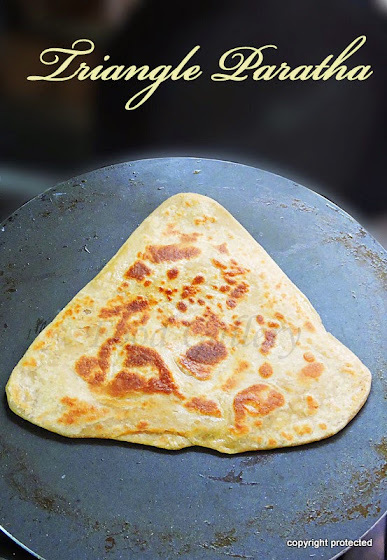 Triangle paratha or Plain paratha -- A very popular, yummy, triangle-shaped layered paratha/flat bread. It is a common breakfast item and does not need any special side dish to go with it, just any pickle will do. There are different types of parathas depending on the stuffing used like aloo paratha, mooli paratha, gobi paratha, paneer paratha, peas paratha, methi paratha etc. Masala Chai or Indian Spice Tea is flavoured tea made with tea leaves, milk, sweetener and a mixture of aromatic spices. Though the origin for masala chai is India, it is now popular all over the world. There is no fixed recipe for masala chai and every family has its own version. 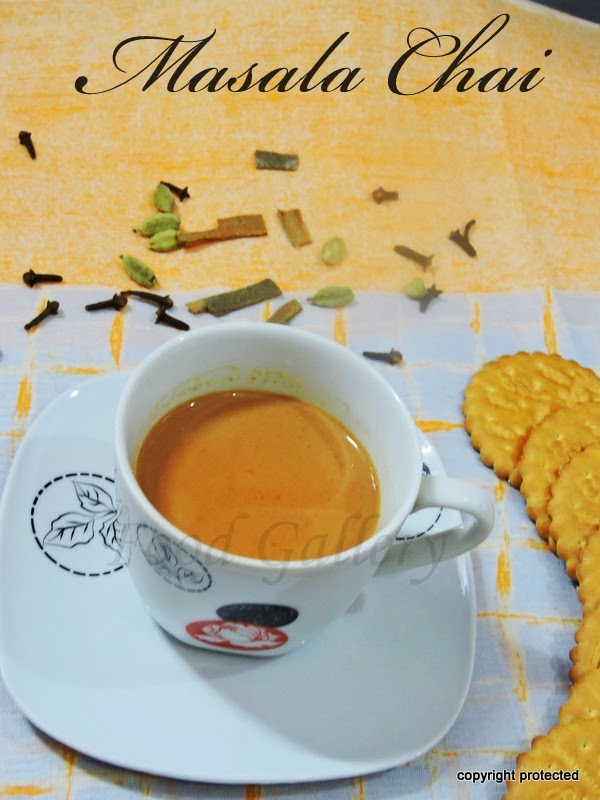 Spice up your mornings with this masala chai. Lemon Pickle or Elumichai Oorugai - One of the most popular of Indian pickles and my personal favorite. It is one of the most easiest pickles to prepare at home, but requires patience and time. There are many variations in preparing this pickle depending on which part of India you are from -- lemon stuffed with salt and left for a week and then seasoned with spices, no-oil pickle, instant pickle, simple and sweet pickle, lemon pickle with ginger and garlic and so on and on. Here is my version. We love to have it with curd rice and upma. Home-made pickles are always the best.. so go on and try this recipe. If handled properly, this stays good for at least a year. Bendakaya Pachadi/Okra chutney -- In any Andhra home or a sadya/wedding, a meal is incomplete without a pachadi. Pachadis or chutneys are a great way to sneak in veggies in your menu. If, on any day you are feeling lazy or have to cook just for yourself, this dish comes in handy because it is so easy to prepare and hardly takes about 15-20 mins max. It is spicy, tangy and tastes yummy with plain hot rice and ghee. 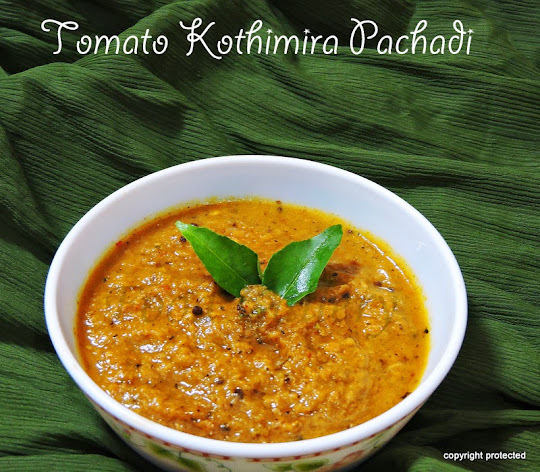 This recipe can be prepared using other veggies too like brinjal, snake gourd, tomatoes, beerakaya or ridge gourd. 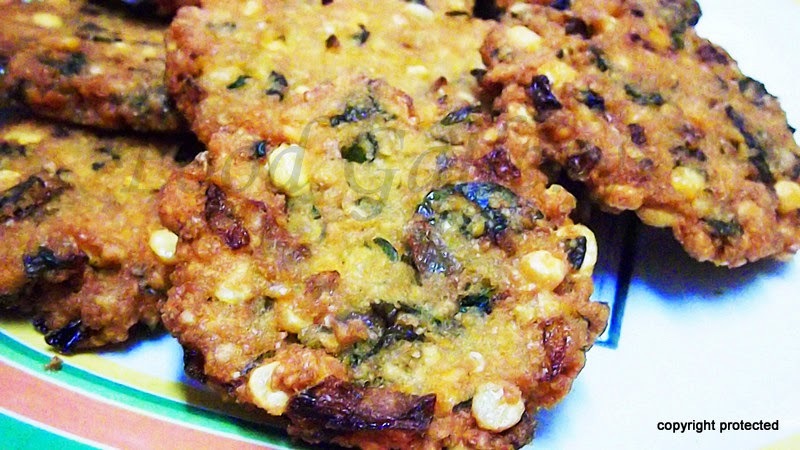 Masala Vada/vadai or Paruppu Vada is a delicious and crispy savory fritter from South India. It is generally prepared during festivals or special occasions like marriages, but is available now as a street food too. It tastes divine when paired with coconut chutney.